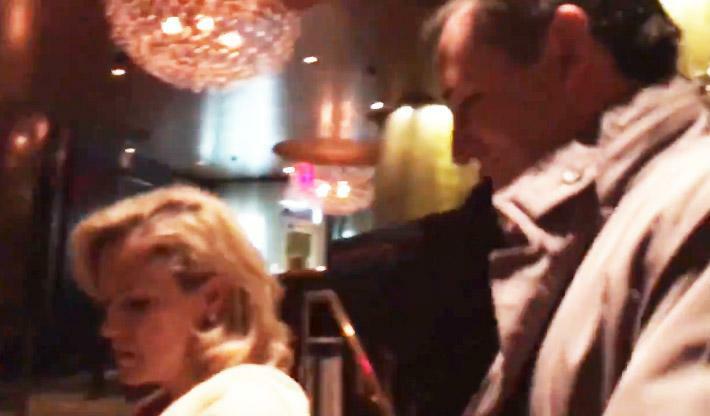 The protesters, chanting "we believe survivors," blocked Cruz's wife from exiting the restaurant at one point, prompting the Texas Senator to ask them to "let my wife through." In another clip, a woman claiming to be a survivor of sexual assault approached Cruz and his wife accompanied by her backup chanters, asking to discuss Brett Kavanaugh, "I know that you're very close friends with Mr. Kavanaugh. Do you believe survivors sir? We believe survivors. Senator, I have a right to know what your position is on Brett Kavanaugh. I'm a survivor of sexual assault. There are now three people that have come forward and said that Brett Kavanaugh attacked them. Have you talked to him about that?" Smash Racism says that they were unpaid, and that "most of us would do this for free any night of the week if we could."